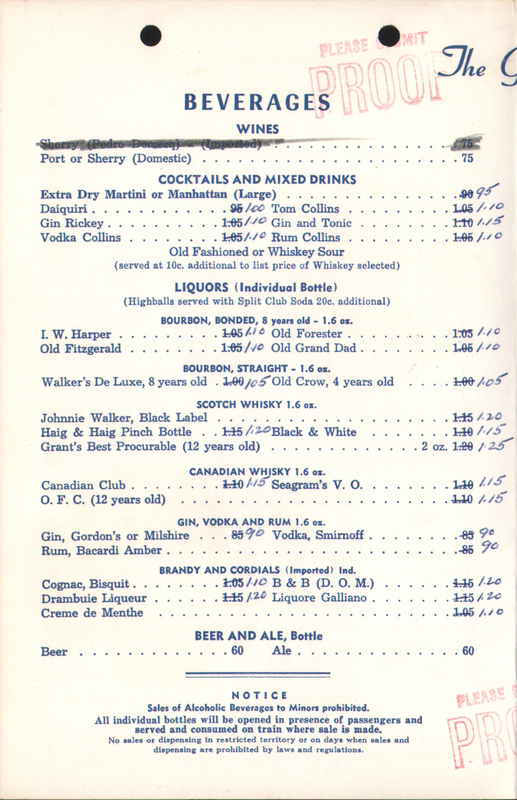 Description A very interesting menu from The Pullman Company Chicago Commissary files. 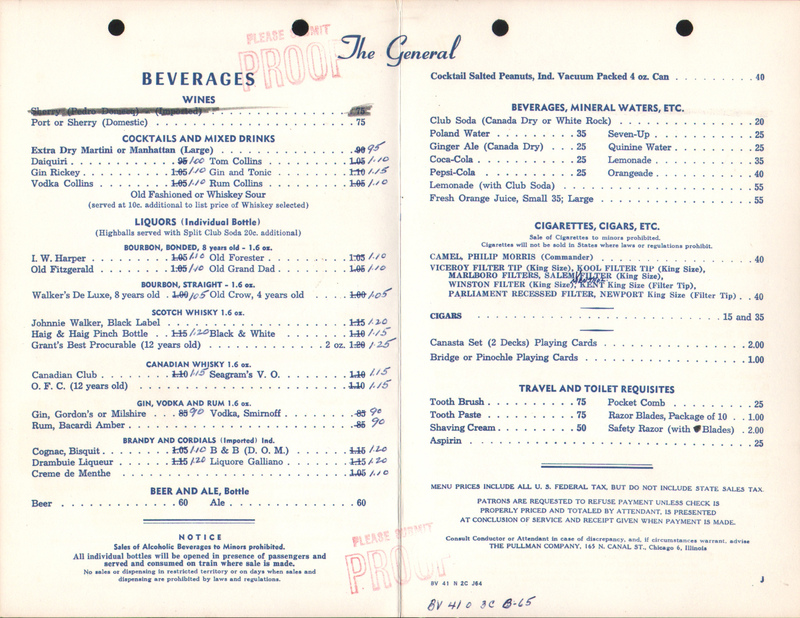 This menu was sent to the Pullman Press for changes from a 1964 menu for the Pennsylvania Railroad's (PRR) train The General into a new version for 1965. A proof copy from the printer was requested. 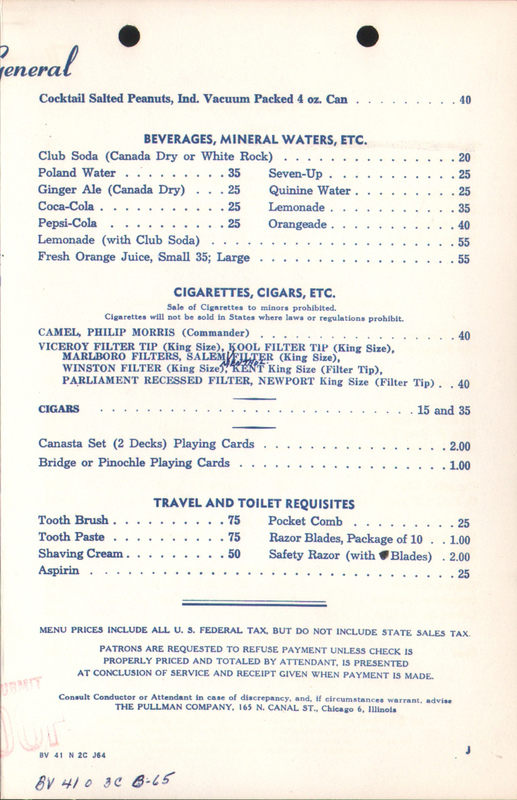 The biggest changes were an increase in prices and the removal of Sherry and the addition of Menthol cigarettes. 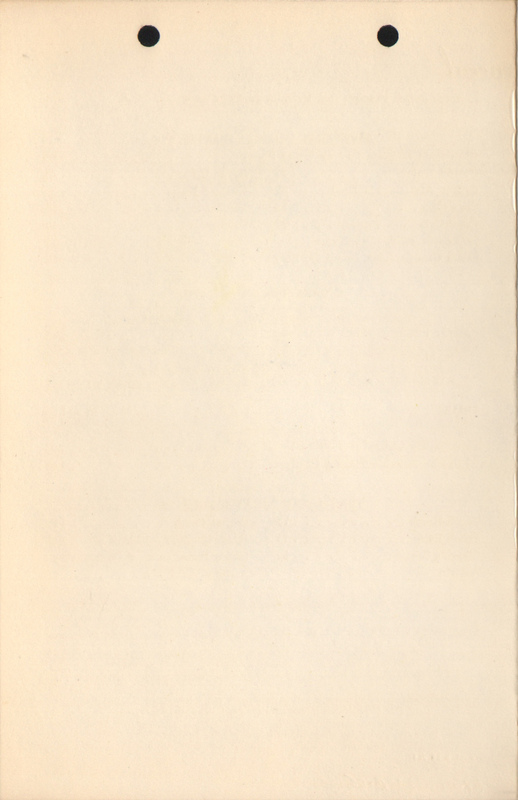 The old menu code of BV-41-N-2C-J64 was changed to BV-41-O-3C-B65. 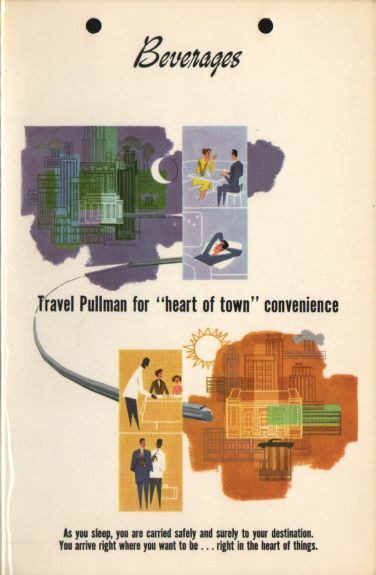 A nice piece of history showing changes between menus and how menus were updated by Pullman.